I can’t believe this is my last day in New Jersey – these weeks are going so fast! 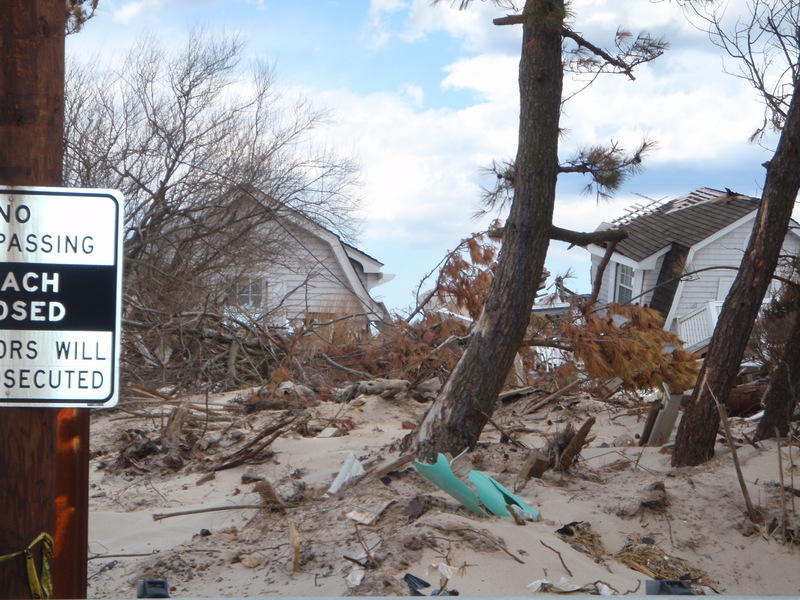 I wanted to head out to another of the long, skinny barrier islands for a walk on yet another boardwalk. 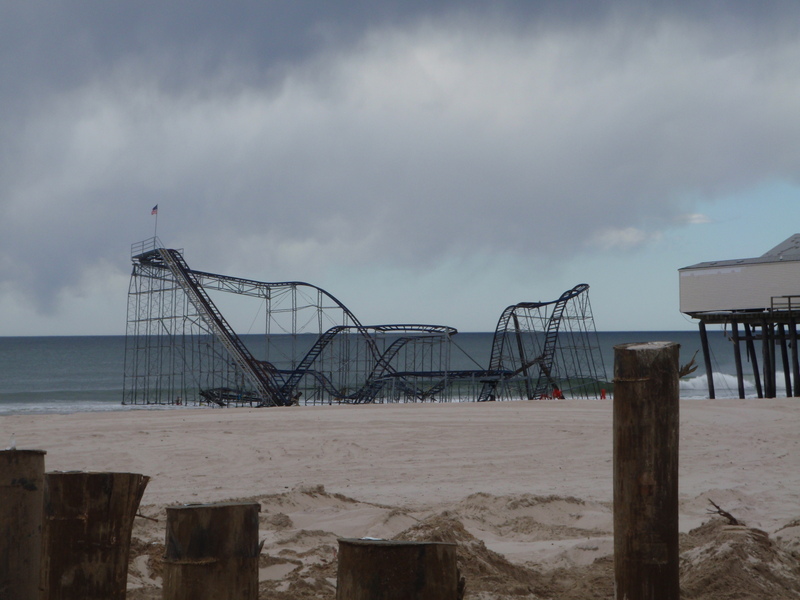 I think New Jersey must have more boardwalks than any other state! 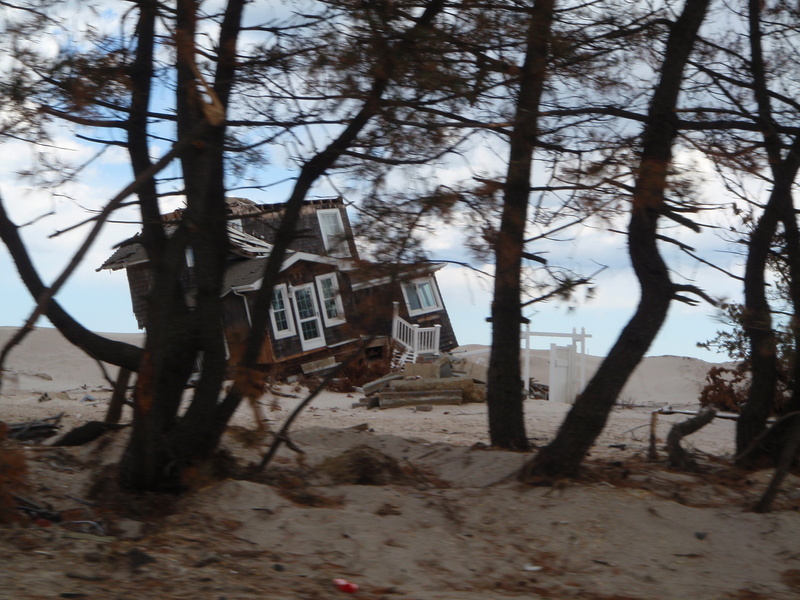 First I headed for Seaside Heights, and once I crossed onto the island, I discovered I had landed in the heart of Hurricane Sandy’s wrath. 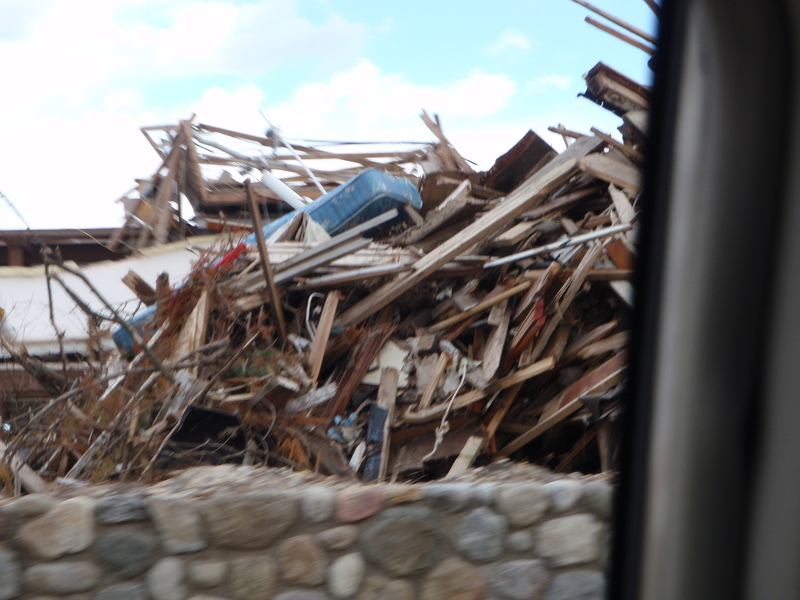 The destruction was hard to comprehend, and if things are still in such bad shape 5 months after it all happened, I simply can’t imagine what it looked like right afterward. 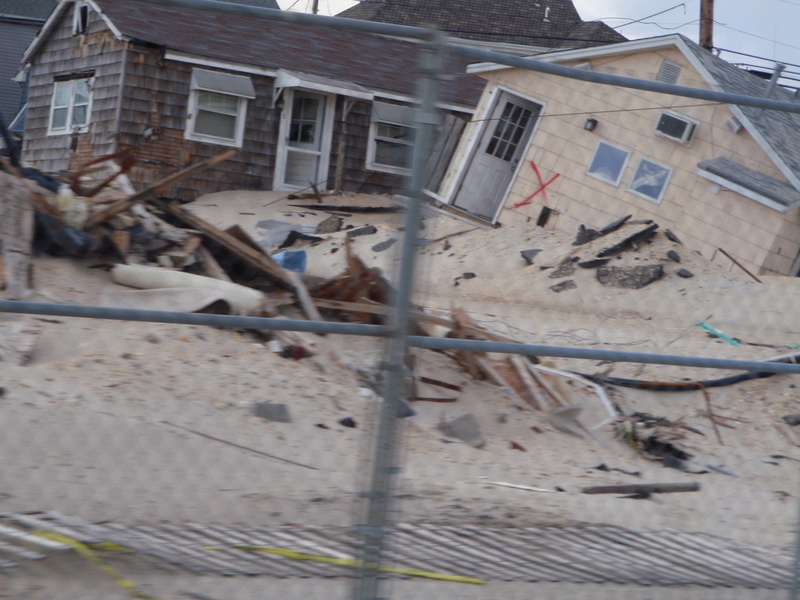 There were lots of work crews out, but they still have a long job ahead of them. 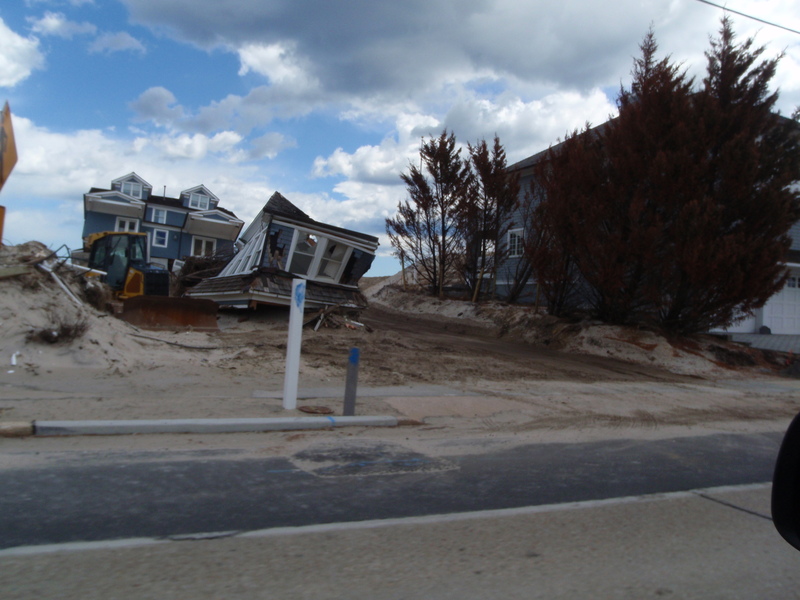 The town of Mantoloking seemed to be in the worst shape – there were houses tilting sideways; some had just collapsed; others had “NOT SAFE” spray painted across them; decks and balconies had fallen off the sides of houses; some roads were un-drivable due to sand and debris; trees had toppled over; there were piles and piles of sand where there shouldn’t be sand; and I even saw a refrigerator lying on its side with old gunk in it. It made me wonder, not for the first time, where all these people have gone to live. 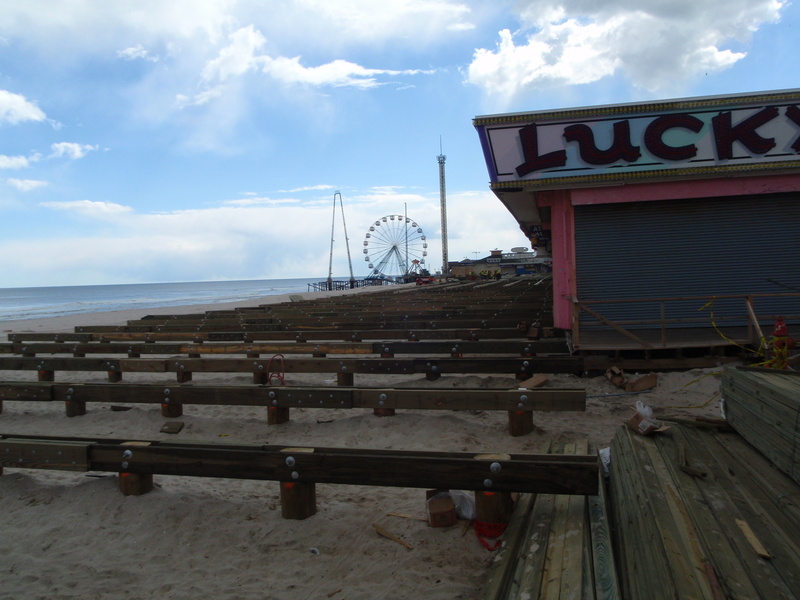 When I got to Seaside Heights, I wasn’t surprised to see the boardwalk missing. 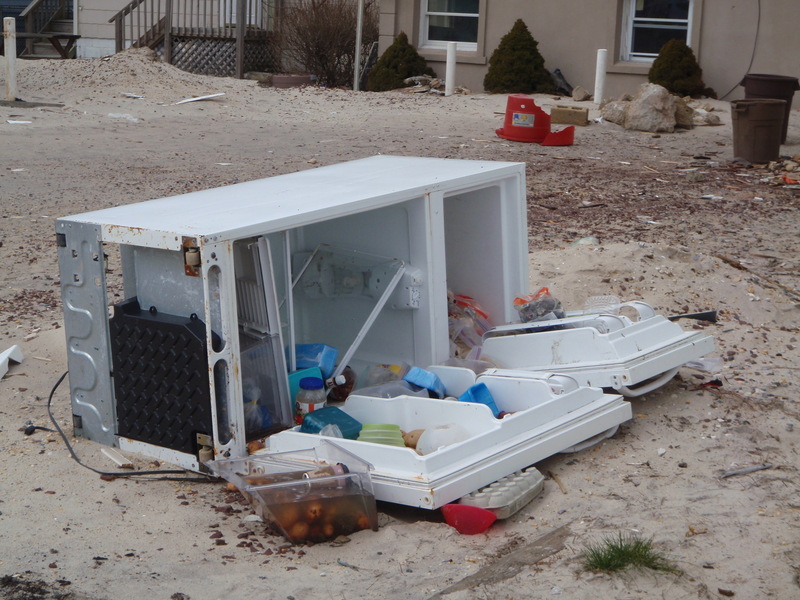 Work crews were out installing another one, and there were police cars at nearly every block warning people not to go out on the sand due to sinkholes. Some of the shops that had been on the boardwalk were trying to run their business from tents alongside the makeshift pedestrian walkway. There was a surprising number of people out and about, but it is spring break season, and they’re trying to make the best of it. It was a lot to take in. 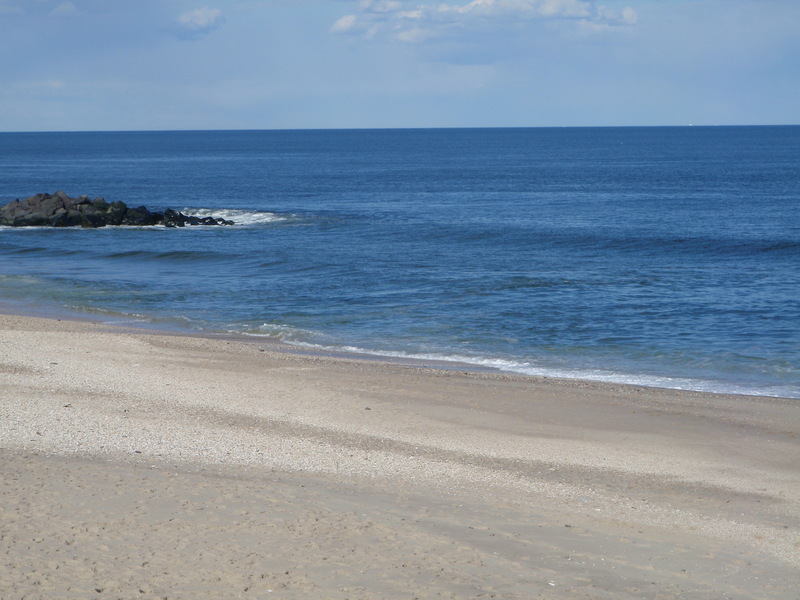 From there I headed north to Long Branch, and that’s where Tula and I finished our New Jersey walking. 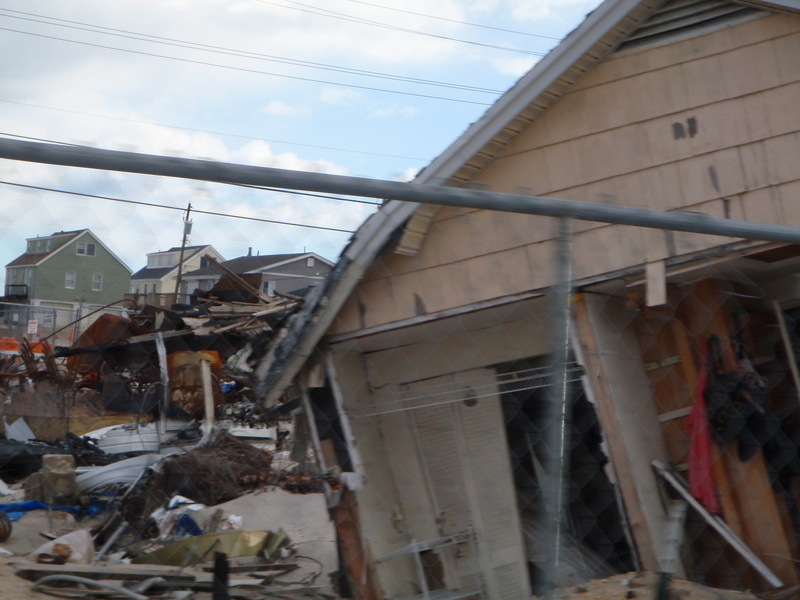 The hurricane damage was not as bad farther north. 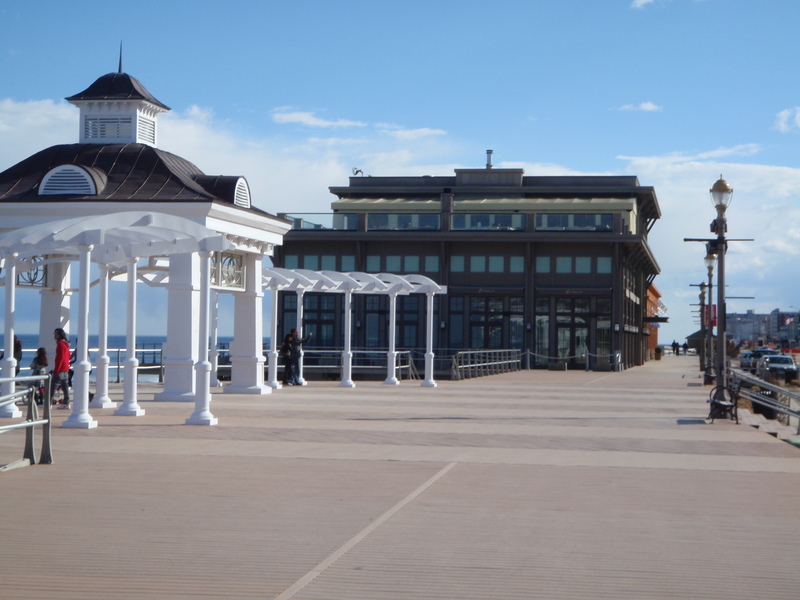 They had a short boardwalk, and a long promenade with an adjoining bike path, which was where Tula and I had to walk since dogs were not allowed on the boardwalk or the promenade. So we finished up our miles, then headed to the town of Red Bank for my final New Jersey donation. 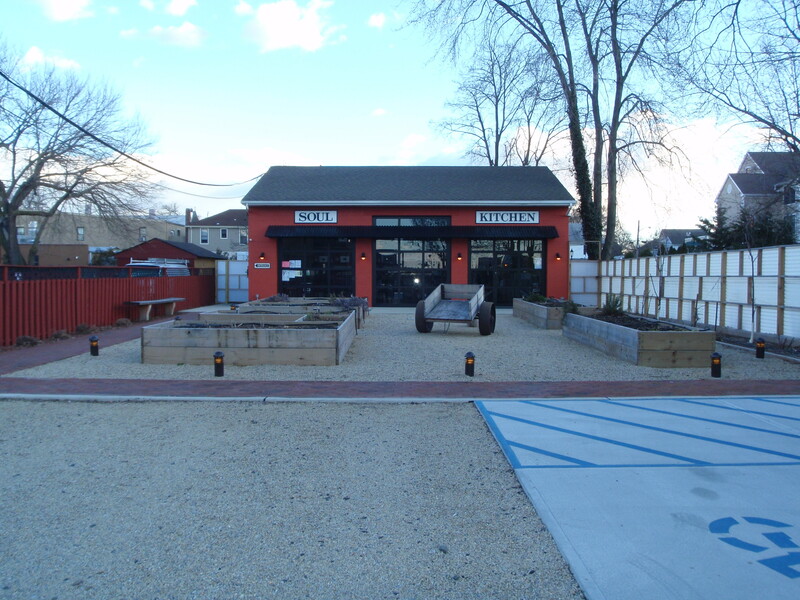 Red Bank is the place where Jon Bon Jovi has opened his version of a soup kitchen, and it was recommended to me by Pat, a horse trainer friend who grew up in the area. 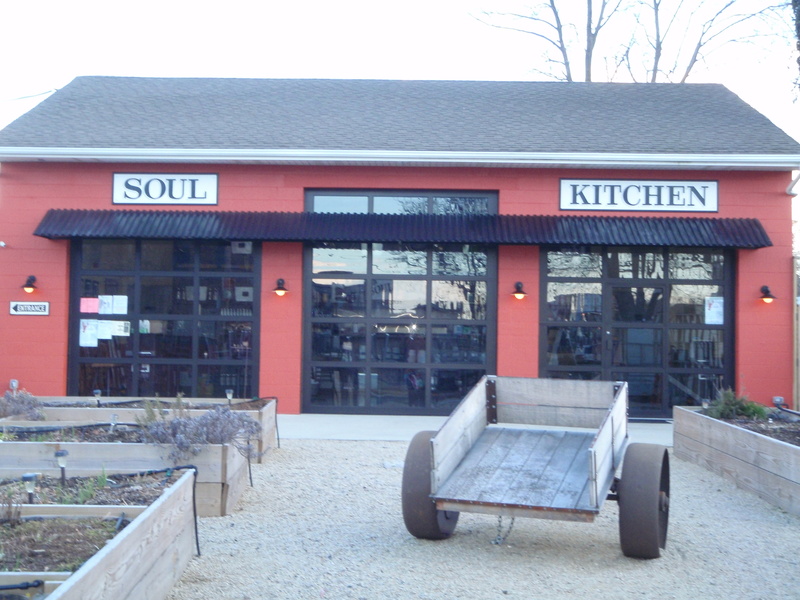 The Soul Kitchen is open to anyone who needs a meal, on a first-come first-serve basis, and a chef comes in 4 days a week to prepare a 3 course dinner out of seasonal food. There are no prices on the menu – you pay what you think the meal is worth. And if you can’t pay, that’s okay too – you can make arrangements to do volunteer work in exchange for a meal. And if you can donate a little extra, that helps the place keep going too. It’s not a big place and the website says there’s frequently a line of people waiting for a meal. I had hoped to enjoy a meal there, but they are only open Thursday-Sunday, so I just mailed in a donation check. 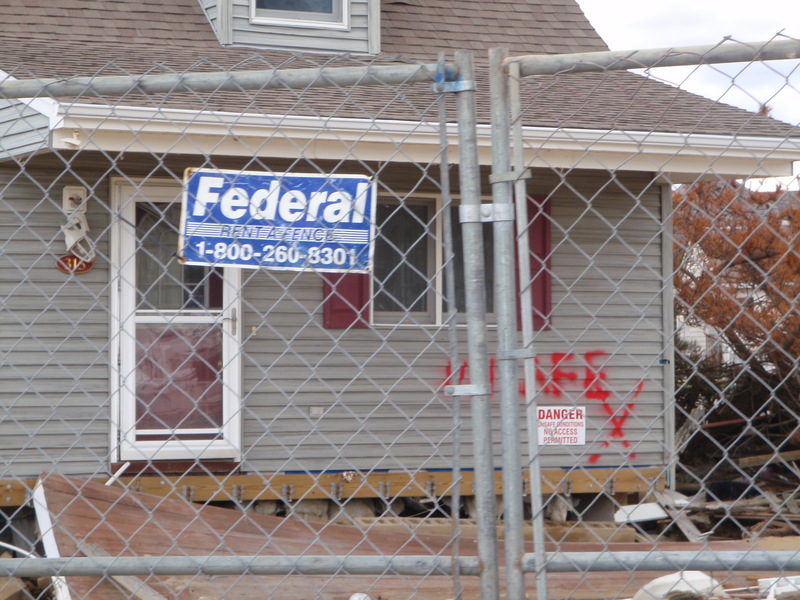 New Jersey – State #26 – is now complete with all walking done, and all 7 donations made – the New Jersey Veteran’s Memorial Home, the Community Closet Food Bank, a blood donation to the Red Cross, the Marine Mammal Stranding Center, Trenton Area Soup Kitchen (TASK), Fisherman’s Mark food pantry and the Soul Kitchen. 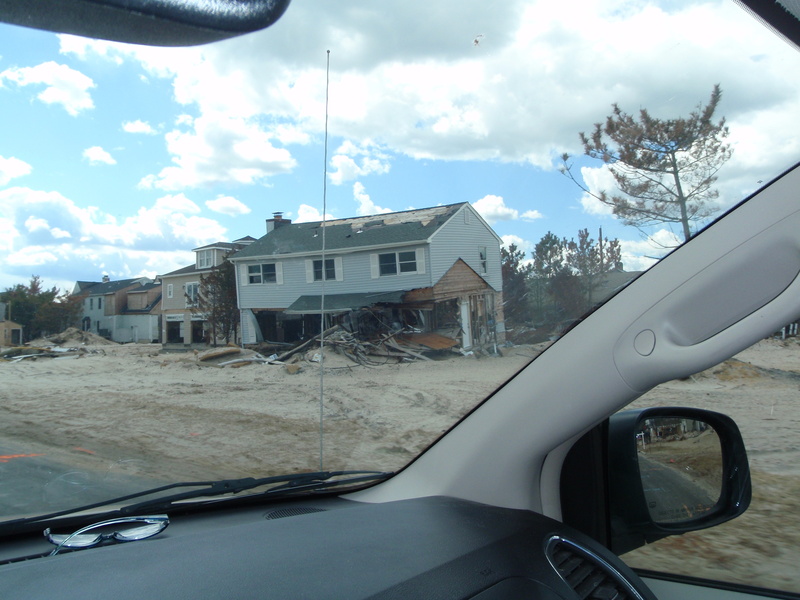 And then I was ready to sit in the car for a few hours as I headed back to Rhode Island – the state I left 5 months ago the day before Hurricane Sandy hit.